Busch Stadium was packed for a Friday night matchup against a very good Texas Rangers team. Lyons from St. Louis didn’t have good stuff and left in the second after allowing four runs. It was 4-4 at the end of two but the Rangers scored two on the 9th to win 6-4. 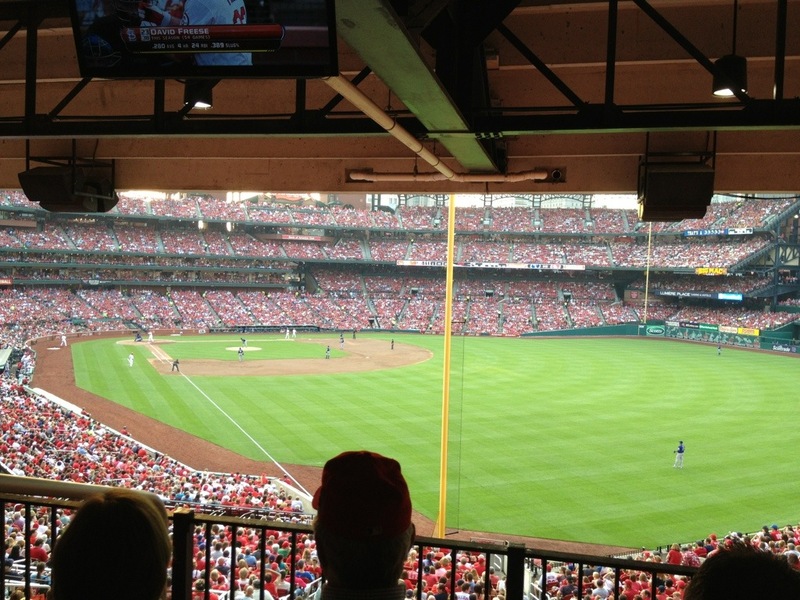 We sat in a right field box for an Axa event and had a great time at Mike Shannon’s before.